The strategy is based on retracements during night-time. Built-in filters are used for entering positions. 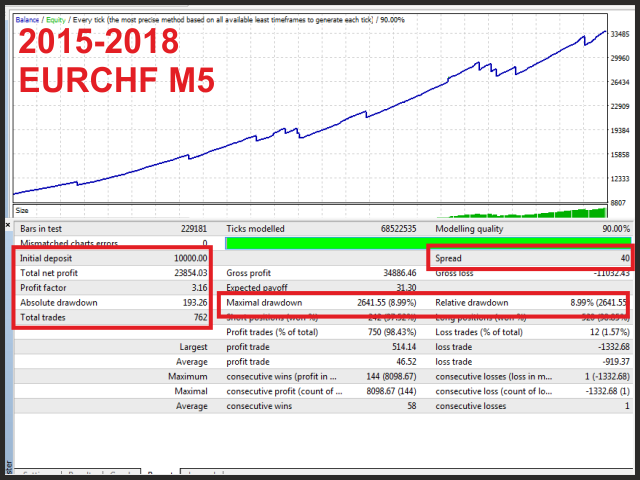 It is recommended for use on EURCHF, GBPCHF, USDCHF, EURAUD, M5 timeframe. It can also be used on other currency pairs after additional testing and optimization. It is possible to work with a fixed and auto lot size. The EA is able to operate according to the FIFO rule. No martingale or grid. All trades are protected by stop loss. Use FIFO Rules - use the FIFO rule. Close position on Friday - close position on Friday. I have been using this ea for a couple of weeks now. it is a very good night scalper. 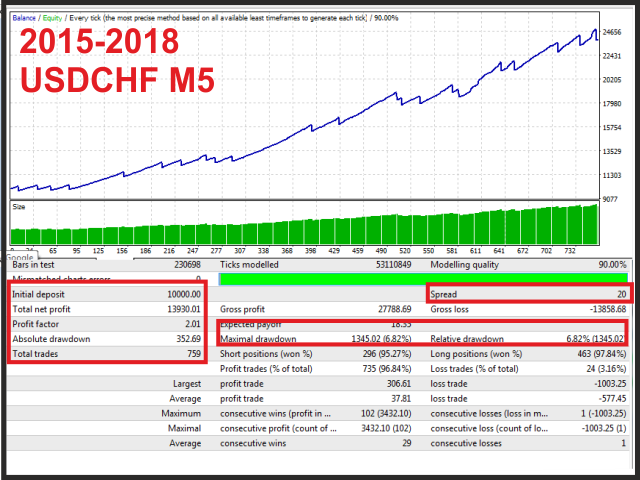 good profit with very low Drawdown.